Are you interested in becoming a Microsoft Certified Professional (MCP)? 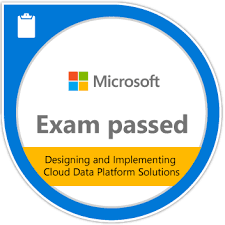 Getting ready for a Microsoft Certification exam? Then you already know that having the requisite content knowledge is only part of the complete picture. You also need practical, hands-on technology skills and strong test-taking strategies. 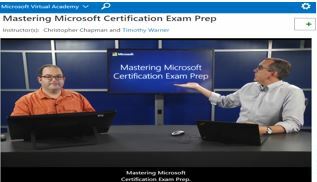 In this on-demand Microsoft Certification exam prep session, IT Pro and Microsoft Certified Trainer Timothy Warner and Microsoft Learning Senior Content Developer Christopher Chapman help you quickly ramp up on what you need to know to conquer Microsoft Certifications. Find out what they are, who they’re for, and how to become a better test-taker. Take a look at different kinds of questions and how to be prepared for them. Plus, get details on special deals, pricing, and registration, along with next steps in your Microsoft Certification journey. Be the first to comment on "Microsoft Exam Prep"